Our 10 kwh solar system was installed on my property the latter part of July 2015. 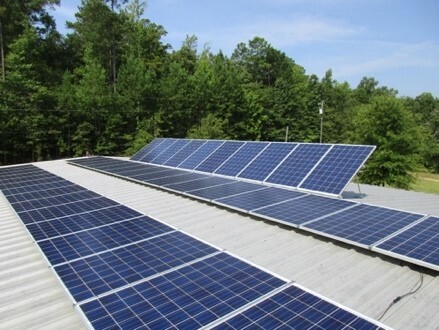 At that time, Central Ga EMC (CGEMC) provided a rebate of $450.00 per kW capacity, factoring in their estimated efficiency. The total EMC participation in the project was $3,337.20. This rebate, along with the federal tax credit incentive, factored greatly into our decision to install the solar project from the beginning. An estimated recovery period for total, net out-of-pocket expenses at installation was 12-15 years. Another factor in our decision was the rate of $0.06 per kW payment by CGEMC for excess power. One month later, CGEMC, without warning, changed their payment for excess power from $0.06 to $0.041 per kW. Again, without warning or explanation, CGEMC again lowered their credit for excess power from $0.041 to $0.036 on January 1, 2017 along with an additional fee of $7 per kW of maximum generating capacity. Applying their projected efficiency rating factor, this imposed an ongoing $51.91 per month penalty simply because I have solar generating capabilities. This $51.91 per month is compounded by a $22 monthly account service fee (on all customers) as well as a two-way metering fee of $5.00 per month and a “round-up” to the next higher dollar provision. Before I use the first watt of power, my monthly bill is now $79.00! At installation, the expected recovery period for net out-of-pocket system expenses of more than $18,000.00 was expected to be 12-15 years. After these recent CGEMC actions, the current projected recovery period of investment is approximately 80 years. If you are a Central Georgia EMC customer that has solar or a solar company active in Central Georgia EMC service area, we want to hear from you! Growing up in rural South Georgia in the ‘50s and ‘60s afforded Stan Hutchinson a simple lifestyle when it came to financial resources, but one rich in family and community life. One of eight children, his life on a small family farm provided opportunities to grow up quickly and accept adult responsibilities at an early age. He earned an engineering degree in and enjoyed a successful 38-year career in farm technical support and management, including farm and construction equipment sales. Although not a theologian by training, common sense and biblical study have afforded him a genuine appreciation of God's ways of handling personal finances. Stan maintains an interest and passion for personal finances that spring from his early experience with making the most of limited resources. He has taught more than 30 personal finance classes and, as a certified financial counselor, uses his ministry skills ministry to help those experiencing financial difficulties. He and his wife, Marci, reside in Macon, GA.
My company, Alternative Energy Southeast, founded in 2007, designs and installs solar power systems, including calculating the projected return on investment for our potential clients. 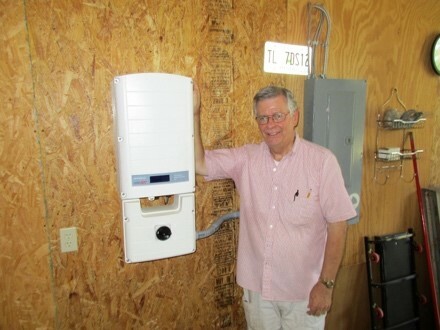 Our client, Stan Hutchinson, purchased a system in 2015 to manage power use, avoid rising energy costs, and take advantage of the financial incentives available for solar energy, including one offered by his power supplier, Central Georgia EMC. Stan’s faith in his investment’s security was dashed this January when he received a letter from CGEMC. The letter notified Stan, without any prior notice, they’ve begun charging him an exorbitant fee. How can this be justified? Many other utilities in Georgia and around the US support their solar customers, rather than penalizing them. While I’m trying to operate an honest business, create jobs and offer a cleaner, less expensive way for people to purchase electricity, EMC’s like this one, with little regulatory oversight, make it very difficult to offer reliable returns to my customers. EMC’s ability to self-determine solar policies undermines our business model because returns and charges can change at will and without notice. With more and more consumers opting for solar, we need some uniformity guiding how electric providers interact with solar customers. These consumers deserve protection from arbitrary decisions that affect the value of their investment. I’m not asking for special treatment, just a clear, level playing field where my company can compete with good, effective products and conscientious customer service that is not undermined by changing policy conditions we cannot anticipate. Comments on "CENTRAL GEORGIA EMC GOUGES SOLAR CUSTOMER WITHOUT PRIOR NOTICE"